Ayung River vs Telaga Waja River – On Bali Island there are many types of tourist activities available, especially nature holidays. Nature tourism such as white water rafting on the Ayung River and Telaga Waja, water sport tour at Tanjung Benoa Beach, cycling while enjoying amazing views over the rice fields and many other activities on offer. Most travelers who stay in Bali after a lot of relaxation or sunbathing will love to do the outdoor experience in Bali. In addition Bali Island is full of open-air adventures, Bali water sports is one of the most popular. 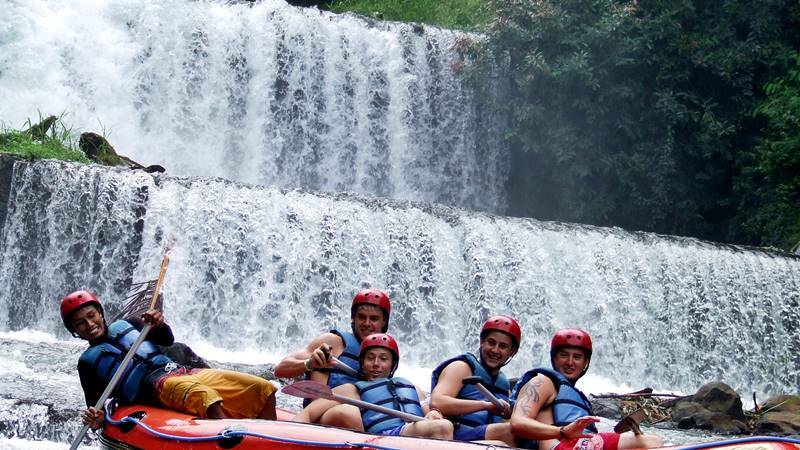 Bali rafting tours are one of Bali’s best water sports. So we will write about a comparison of two rivers which are most popular, Ayung River vs Telaga Waja for you on this page. 3. In Klungkung is Melangit River. Only 2 of the rivers, the Ayung and Telaga Waja River, are most popular for a wide range of rafting in Bali. Why? First, Ayung River & Telaga Waja is more exciting and challenging than Melangit River, and second, the Melangit River rafting trail is rather short compared with the Ayung & Telaga Waja. 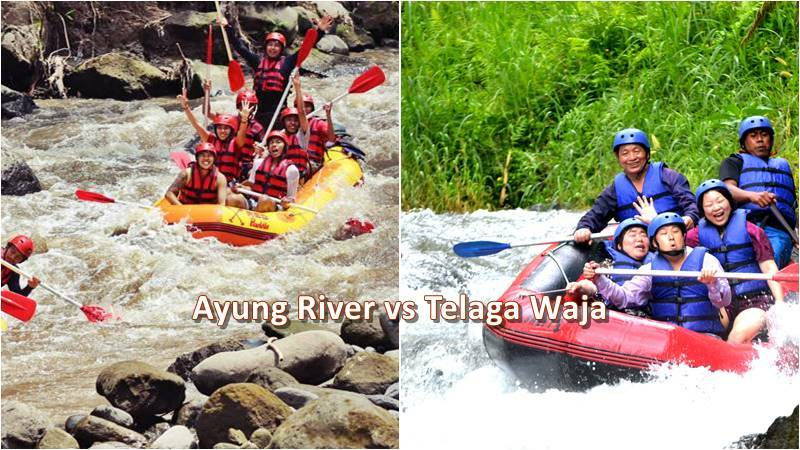 Your questions now, which of the two rivers is best for white water rafting in Bali, the Ayung River or Telaga Waja River? Some of our customer when asked about the Ayung River, said that the Ayung is the best, while some said the Telaga Waja river is better than the Ayung river. This problem, which one can better answer, is a bit difficult to answer. We will not say that one river is better than another on this Ayung River versus Telaga Waja River; we will write for every river, so you can determine which river is best for Bali rafting. In addition, Ayung River is one of Bali’s best sites to visit in Ubud. 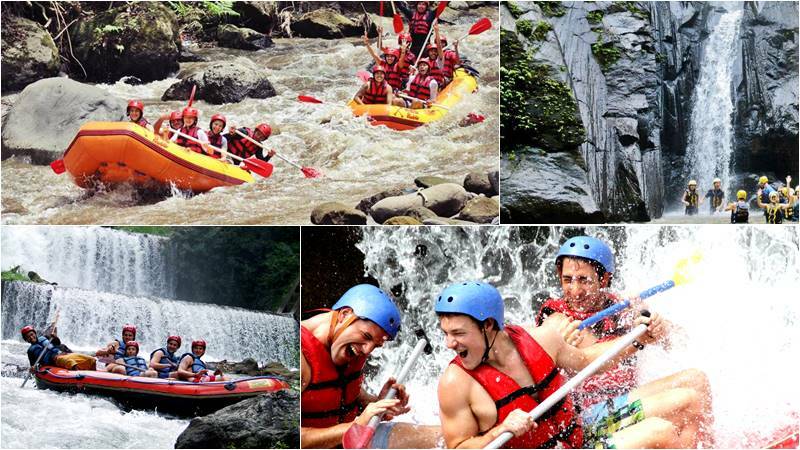 Ayung River Rafting offers a 12-kilometer route, and rafting time takes between 1.5 and 2 hours. Situated near Ubud area you only need an average of 20 minutes by car when you’re staying in Ubud on holidays in Bali to get to Ayung River. Very good for beginners, with class II-III rapids. Fantastic landscape, carved in some areas of the walls of the river. Ayung rafting for leisure rafting. Long river stairs to the point of departure, long stairs to the restaurant area also from the rafting terminal. Not as exciting as rafting on the Telaga Waja River. Bali White water rafting route whit shorter distances. 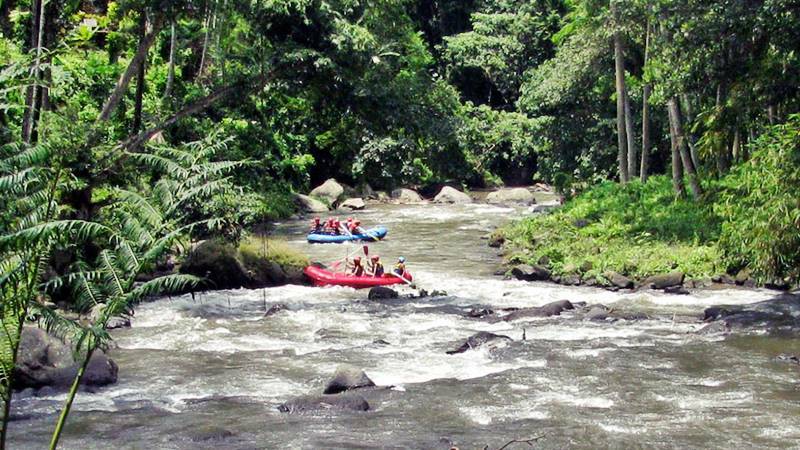 In addition to this, the Telaga Waja River takes 16 Kilometres, and the rafting route on the Telaga Waja River will take 2,5 -3 hours to complete. It is located on the eastern part of Bali Island in Karangasem regency. The longest white water rafting track in Bali is 16 kilometres, 2.5- 3 hours of rafting trips. Easy access to rafting point from the lobby. Class II–IV rapids (more excitement and adventure). Air pollution far from it. Adapted to sports and recreational combinations. Slight water is found in some area of the river. Long drive from southern Bali, where the majority of travelers are staying in Bali. The rafting in Telaga Waja takes 1 hour and 40 minutes – 2 hours drive. Some people are concerned about long journeys on the river Telaga Waja. 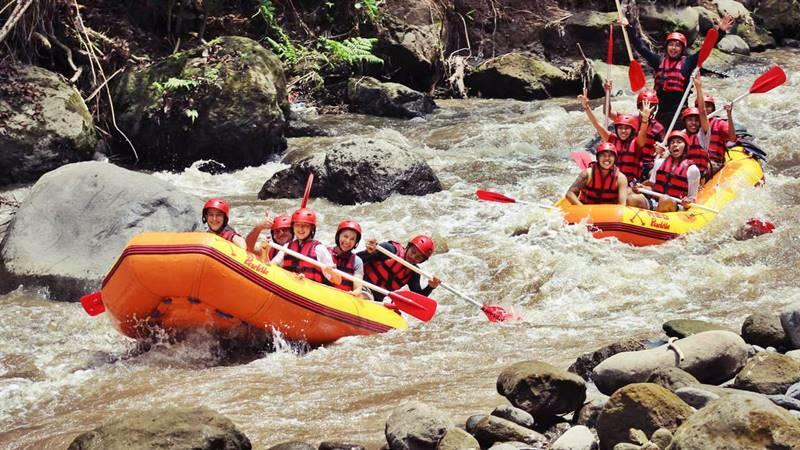 If you’re looking for a more recreational tour of Bali rafting, don’t want to spend time in car if you’re staying in the southern section of Bali like Kuta or Seminyak and want to see the beautiful landscape, Ayung Rafting Ubud is your choice for Bali white water rafting. Otherwise, if you want an exciting rafting in Bali, longer rafting distance and do not want the stairs down to get the starting points for the rafting, Telaga Waja Rafting will be the river to be chosen. So, both the rivers have pros and cons, and now it is up to you to choose the better Ayung River vs Telaga Waja River, depends on your personal needs. Please choose, and let’s join us to enjoy rafting in Bali. We look forward to hearing everything about your rafting trip in Bali. Make sure you check our availability and plan to have your own adventure.